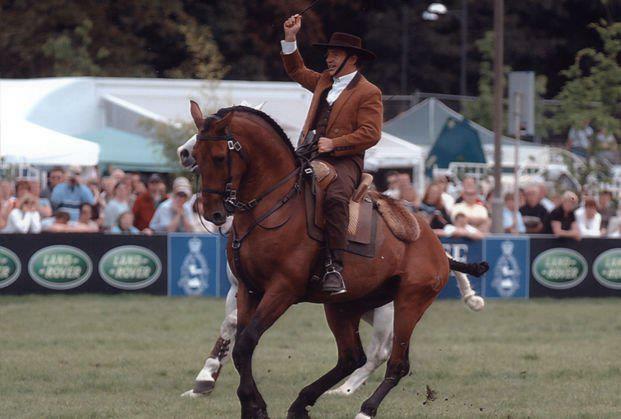 José MC Lopes is an International Officiate and Judge at Working and Portuguese Equitation Events across America and Europe. 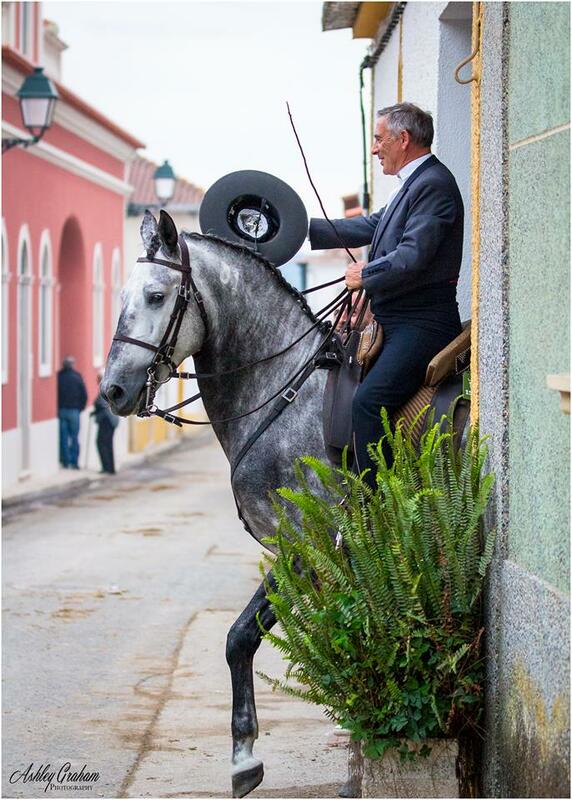 José also Officates at Lusitano Shows and is a highly respected Judge. Often in great demand, José rarely makes the trip to the USA from Portugal. José will be our Instructor during this highly educational, three day clinic. 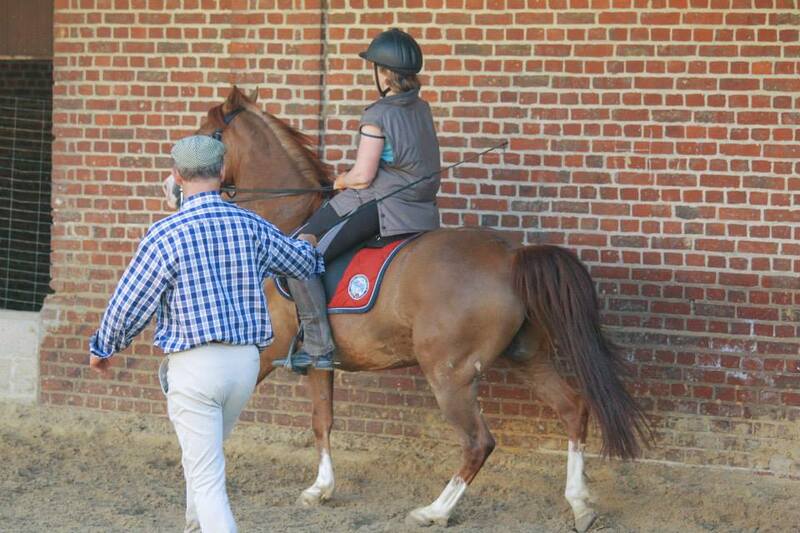 Participants will work in Private and Semi-Private lessons on classical riding. Group sessions on negotiating Obstacles in Ease Of Handling and the Speed Phase will also be included. Do not miss out on this opportunity. Sign up now, entries filling fast! private and semi-private sessions available. Excellent rider clinic for 2018! Look for Jose in 2019! Details TBA and tentative Working Equitation show in the works for Labor Day Weekend at Murieta Equestrian Complex! The fun part, where lessons are applied to obstacles! Understand how a well balanced horse can better complete the task at hand. This is a clinic that really hits home for me. Aside from one year of being pregnant, I have worked with Jose every year since 2012. What he describes is truly fascinating. For those of you that really want to understand true horsemanship, not what is in style, not the latest trend, not the hottest name, this is who you need to see. The content is historically based upon military uses of the horse and classical masters like Baucher and Olivera. The information from when it was really necessary to make a functional riding horse, using horse, and war horse. Straight from Portugal, where the access to classical information seems so much more attainable than all the way over here, in California. For those of you that are interested in attending the Jose clinic, there are a few things to think about before you come. First, be excited! This is going to be awesome! A small, dedicated group of followers have worked hard to put together expensive international flights and banned together to move him up and down the west coast to expose him to a small, select group of riders. The effort that it takes to make an international clinician available is absolutely labor intensive, so be excited about what you are lucky enough to get to be a part of! Second, over the years, I have discovered that there is certain gear that Jose is partial to or tends to avoid. It has nothing to do with liking or not liking someone or something, it is in relationship to what he knows and what has worked for him to achieve what he is looking for in the most streamline manner. Don't forget to bring a pair of spurs, even if you aren't comfortable with them, bring them. He will show you how to use them, or at least you have the piece of mind to know you are prepared, rather than leaving them at home. Bring a simple snaffle bit. This is always the go to bit. If you want to learn how to ride in a double bridle, bring it, or someone will likely have one that you can use to try it. Don't be scared, this is the place to get a better understanding with someone to help you! This is a clinic that will work with a fair amount of contact, so an English style headstall and reins are your best bet. Either that or roping reins on a western set up. Mecate reins are heavy and bulky for work with contact and split reins can be too long and drag the ground and get in the way. Bring what you have, or ask if there is something you can borrow. This is a small, tight knit, helpful group. We all work together and are here to help you. Things to think about: If you have a cavason, it will likely be removed to assist with mobility of the jaw and Baucher's Jaw Releases. Jose works a lot with Jaw Releases, so hackamores are not recommended, as they don't allow you to access that part of the horse. I did show up one time with a horse that had been ridden strictly in a hackamore, and we just ended up using it as an opportunity to teach him about the snaffle and everything worked out just fine. A person just has to be open minded enough to be ok with that. After I left, I took the knowledge I wanted from that clinic and on that horse. I did a little snaffle bit riding, but ultimately, kept him in a hackamore, as that was what I was studying at that time. 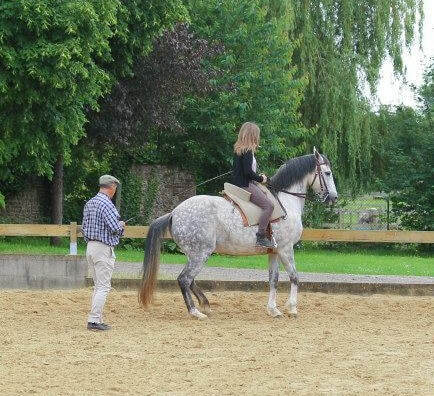 Finally, if you have a gaited horse, in order to do the exercises, it is helpful if they know how to trot. 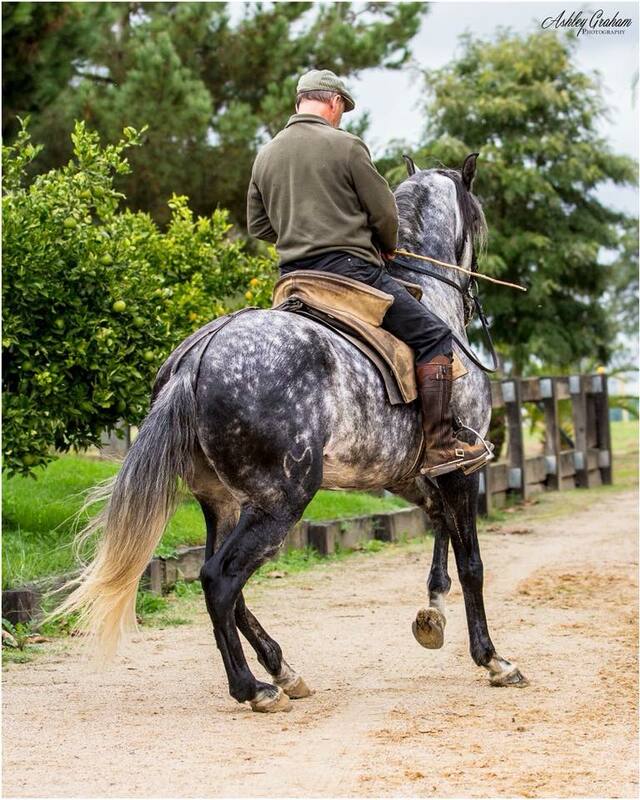 The goal is working towards canter, and in order to have a horse work symmetrically on both sides, trot is necessary. 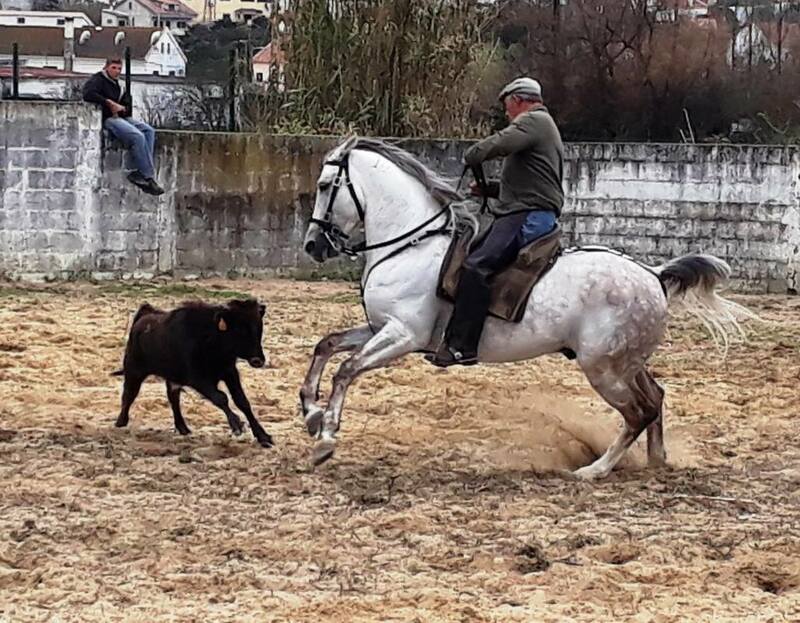 It's nothing personal against the gaited horse, it's just the tools necessary to have the most linear path towards the ultimate goal: a better balance. 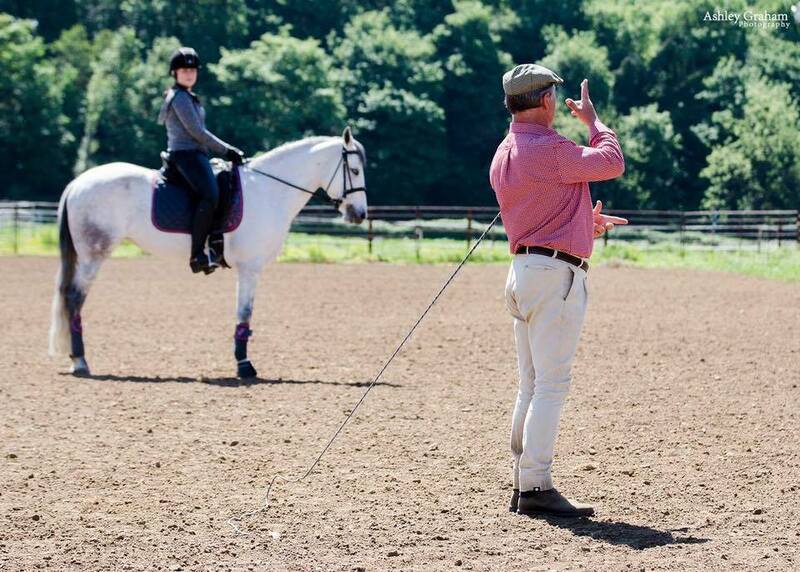 The working equitation clinic is set up in a manner to give riders individual, focused attention in a dressage format. That is, as private or semi-private lessons each day. 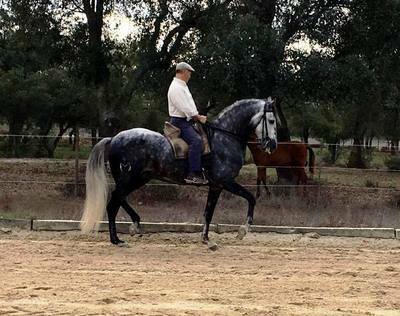 The material is mentally and physically demanding for horse and rider, so a short, intense spurt is a more effective way to put the information across, as apposed to the all day, sit in the saddle western clinic format. 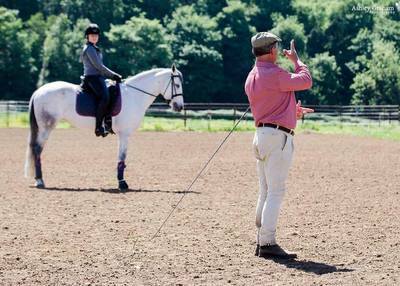 Lesson format ensures that everyone gets focused time specifically on them and allows riders to sit down with a pen and paper and study other riders to compare and contrast, instead of forgetting something by the time they get off their horse at the end of the day when they are tired. Lessons are offered each day, however, in order to get an exponential learning opportunity, it is encouraged that riders attend all three days. The first day will give riders a basic starting point, but each successive day will allow riders to build on the concepts and see where they lead to. Imagine that clinic time is upon us. You have your ride times, your trailer is packed. Don't be nervous (I know some of you will), this isn't a horse show, it is a clinic, a learning opportunity. Everyone is here to learn. Be open minded, talk to people. If you need something, don't hesitate to ask. Watch other riders if you aren't the first one in. Watch what the material is, so you can envision what you will be doing. Take time to warm up your horse and do what you normally do. You can't expect to do something for someone you don't know if you don't know what they are going to ask of you! Enjoy your session when you go in. This is your time to learn and ask questions. When you are done, watch and take notes with the other riders. Compare and contrast your ride. Let the information sink in and travel through your fingertips to your note pad and your brain. Talk with other clinic riders, especially those that have attended before and share ideas about the messages and exercises that are being conveyed. Really get the most out of your experience. There is so much more to the whole clinic experience than I even have room to describe here. Even down to talking over dinner with Jose and the other riders about journeys with different horses or pivotal points in developing techniques. However, this does give a person a starting point or a backdrop to what they can look forward to being a part of. I have stuck with Jose all of these years and every time we visit, I get a new layer of information that connects my last clinic and the studying I have done in between time to new information. It has been a fascinating journey and I hope to share that opportunity and experience with you. Below I am attaching a few article links that may help riders and auditors alike to have a little background on some of the concepts to think about when Jose arrives. These are not his articles, but ones that I enjoy and that have helped me to further understand concepts he speaks about. Downfalls of "stylized" dressage, watch (piaffe at 2 minutes) - no impulsion!